Here is a beer batter fish fry recipe that makes for a great tasting fish and chips meal. Works well with Catfish, White Bass, Striped Bass as well as the standard Cod Fish. Since we like catching fish as well as eating them, do check out the video clips in the sections below that show us catching Catfish and White Bass! Also, when cooking White Bass ("Sandies" or "Sand Bass"), be sure to trim the "red meat" that runs along the lateral line once the fish is filleted. Doing so, seems to make the fish taste much better! Also, be sure to check out the Tartar Sauce recipe. It adds a little spice to the meal and definitely complements the fish! 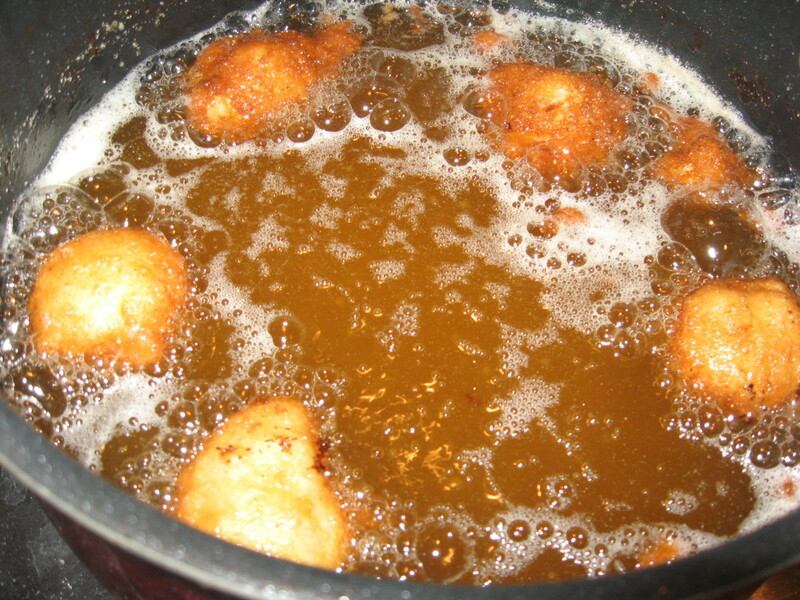 Making the Beer Batter Fish Fry and Cooking Them! Combine all the dry ingredients into a bowl. Note: That the Emeril's Original Essence is optional. Next, add beer and mix thoroughly. If more beer is needed to make the batter the consistency of pancake batter, do so in small increments. In a deep skillet, pour vegetable oil so it is about an 1-1/2" deep and then heat it on high. While waiting for the oil to heat up, add the fish to the batter and mix it so all fillets and/or nuggets are covered with batter. Check periodically if the oil is ready for cooking by adding a small drop of batter into the oil. If it begins to float soon after adding to the oil, then it is ready for cooking! Next, take the fillet and/or nuggets from the batter, and then one by one slowly place them in the oil. Cook for about 5" to 15" flipping them over at the half way mark. Note: The time will vary based on the size of the fillets/nuggets but as a rule of thumb, cook them to a golden brown color. Once cooked, lay on a plate covered with a paper towel or napkin to let soak up the oil from the fillets/nuggets. 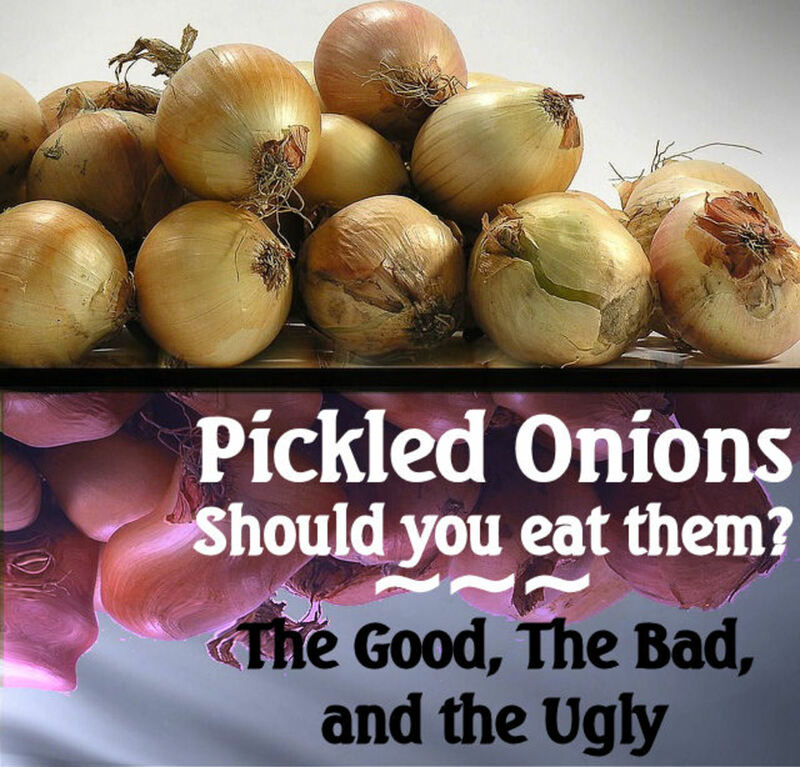 Serve hot with Cole Slaw, French Fries or Potato Wedges, and Tartar Sauce for dipping. Also, for a variety, include Malt Vinegar and Horseradish for dipping as well. Don't forget the Tartar Sauce! Do try the Tartar Sauce recipe with the Beer Batter Fish Fry! Combine all the ingredients in the listed in the sidebar into a small mixing bowl. Mix thoroughly, and then chill in the refrigerator for at least a half-hour before serving with dinner. For those who like a little more spicy tartar sauce, add more Tabasco Sauce! As we stated at the beginning of this article, we like to catch fish as well as eat fish! The video above is a short clip that shows us mixing a batch of batter and tartar sauce, and then cooking the Catfish we caught the day before. The videos below show us setting a trot line and checking it later in the day. Ended up catching the two Catfish that we prepared and cooked in the video above. Here is a short video clip where we set a trot line. We hoped to catch a Catfish or two for the Beer Batter Fish Fry recipe! For bait, we tried Shrimp, Hot Dogs, and Shad! We also set a weight on one end and secured the other end to a tree. After letting the trot line "soak" for a few hours, we checked it for fish! Not sure if a Bruiser or two would be on the line, decided to take the Jon Boat instead of the Kayak that we used earlier to set the line. Managed to catch a few Catfish of which two were Keepers that measured 19" in length! White Bass for Dinner, Too! 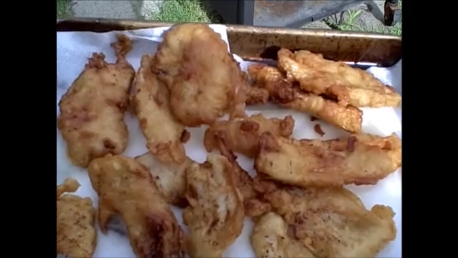 Here is another video clip that shows us cooking White Bass using the Beer Batter Fish Fry recipe! 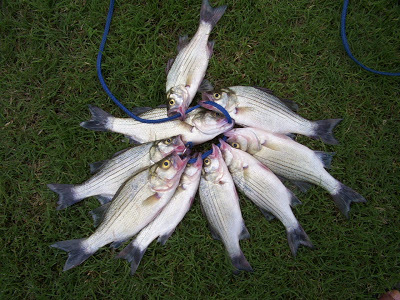 This round we went with White Bass having caught six Keepers while kayak trolling at our local lake. Had a lot of fun catching them; even had a good workout paddling the kayaks around the cove we were fishing. 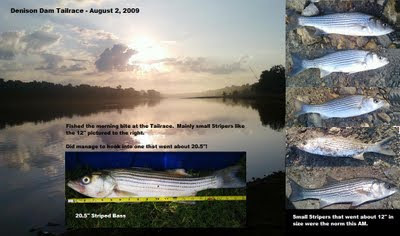 We did catch more than six White Bass; however, they were undersized and were let go to get bigger! Check them out and do let us know how your fish turned out using the Beer Batter Fish Fry Recipe! Till then... Good Luck and Good Fishing! What is your favorite fish for Fish and Chips? 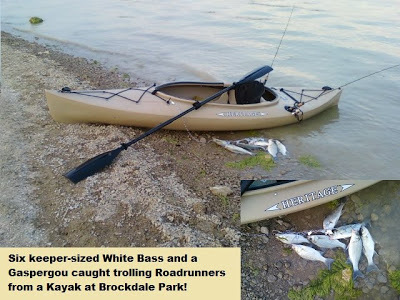 Another batch of fish caught Kayak Trolling! White Bass also caught while Kayak Trolling! Striped Bass work well for a Beer Batter Fish Fry! I like this Hub ! There are many recipes for fish, which are all delicious. I will try them all even if I'm not so good at coocking. Thank you very much for your Hub! Thanks thomdrilling! It made a difference for us with White Bass. Did go fishing this morning; caught several Catfish. Going to cook them up for Dinner later today... tasty, tasty, tasty! Great article and photos. We beer batter walleye and crappies, tried white bass before and they were like cardboard. Will have to try trimming one like you describe next time. Thanks bethperry! Tartar Sauce is tasty, too! Bookmarked! I've been looking for a good recipe for beer battered fish and this one sounds delicious! 1. I like to use Coors or Coors Light or Miller High Life. You will get a hint of the beer's taste when cooked. Have not tried an IPA or a Dark Beer but may need to try it some time. 2. " stands for minutes in this case. 3. 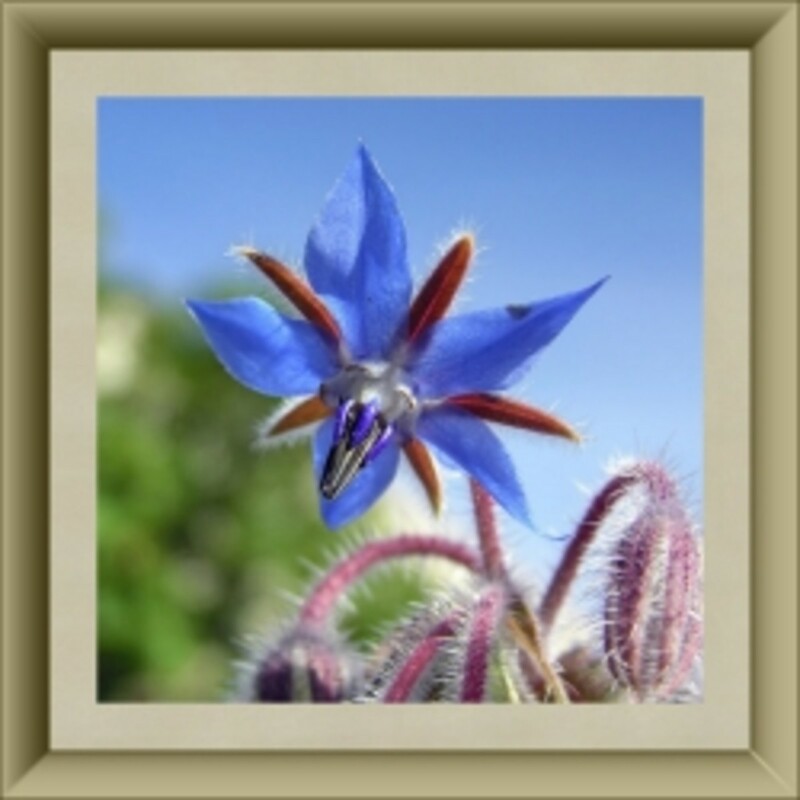 If concerned, then use what is more comfortable for you to get the oil to temperature. 4. Not sure, have been going by the "float test" by dropping a small amount of batter in the oil. 5. Parchment paper should work if you have issues with food sticking to paper napkins and towels. Nothad an issue here at least with the Beer Batter Fish Fry. Hope this helps and thanks for checking out the article! So many questions: (1) what type of beer would you recommend? 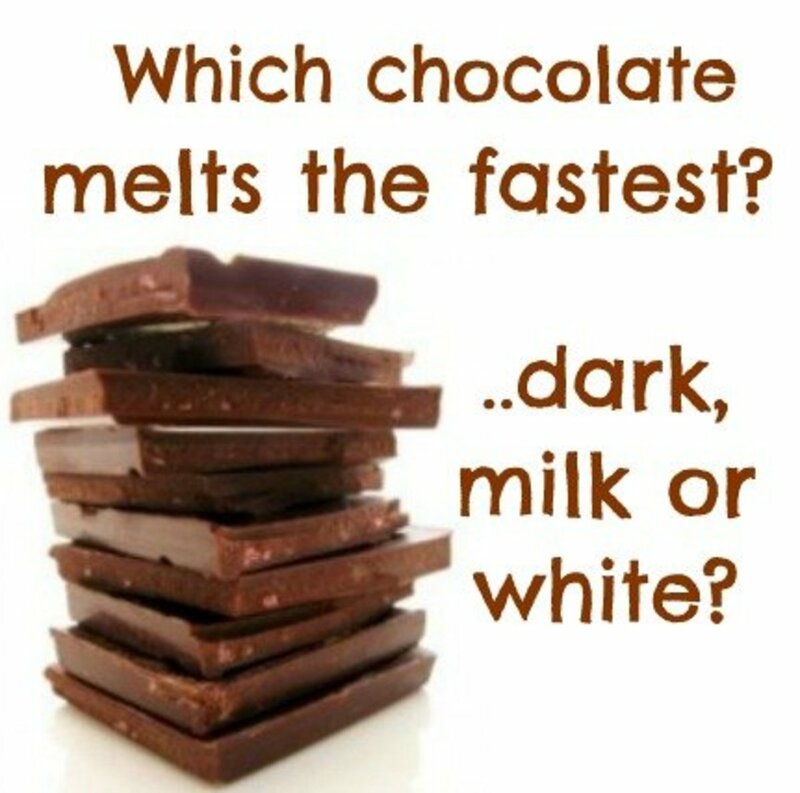 For example, should it be an IPA, or something dark like a stout or lager (or does it matter)? (2) Step #6 says to cook for 5 to 15 inches (that's what " stands for). Don't you mean minutes? (3) I'm somewhat concerned about the safety of bringing a large quantity of oil to frying temperature by turning the heat to high. (4) If one uses a cooking thermometer, what is the temperature we are seeking? (5) In the past I have had problems with fried foods sticking to napkins or paper towels. Would parchment paper work? Here is a recipe that makes for some great tasting Fish and Chips... gotta make sure to include the Tartar Sauce, too!